New Atlantis Radio / Home › Forums › Activism › Request a song! This topic contains 8 replies, has 4 voices, and was last updated by -OZ- 2 years ago. I know this is a super serious forum, so I’ve a super serious proposal to keep our spirits up. @ludovan and I are going to escape from Milan (yes, like Snake Plissken, Jena for Italians) to reach our uncle’s place on the lake. My uncle, Gene, was a sound technician in the 60s and 70s, so he has an awesome vinyl record collection in addition to mine. Do you want to request any song? I’ll try to broadcast it here, on Radio Atlantis, solely and exclusively for you Atlanteans. Note for @ellie and all the other youngster out there: we only have rock music from 60s and 70s, maybe something from early 80s… And a vinyl by Davide Van De Sfroos. My brother’s gift to me. Don’t ask, please. So no Taylor Swift, no Justin Bieber, no rap, no country… You got that. This topic was modified 2 years ago by -OZ-. First at the finish line, V.B.! Congrats, man. 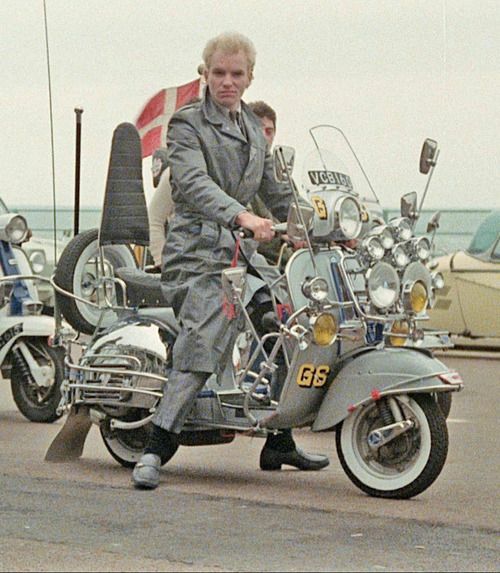 So we have a Sting fan: do you know he was in the Quadrophenia movie, produced by The Who? He was Ace, a fighting mod at Brighton beach. Super cool… But with an awkward secret. Message in a bottle, I make a note right now. This reply was modified 2 years ago by -OZ-. Are we keeping a theme? Brother, I’m impressed. Even if your request stinks of Google a mile away, I take note. Maybe uncle is on soul too. I know what everybody is (or should) thinking. Hey, it was some very heartfelt Googling. I know, Van, and for this reason I’m impressed. Luckily I also know which song you really want. From your friend Davide, Akuaduulza. Drat, I wanted to go for some early Waits (not rock, I know) but the water theme makes it harder on me. Early Waits is ok, I love his voice and uncle has… Small change, I think. Keep pondering however and surprise us all! The forum ‘Activism’ is closed to new topics and replies.